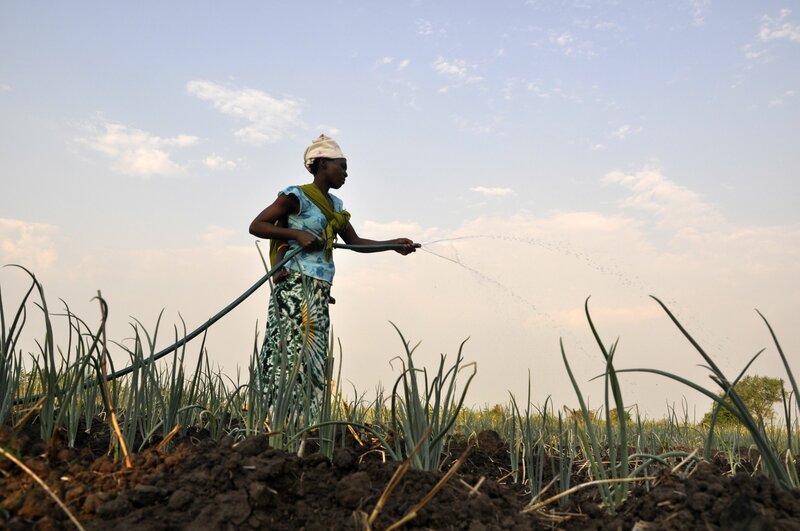 The water rights of up to 100 million African farmers are threatened by laws rooted in colonial times, according to a recent study conducted by the International Water Management Institute (IWMI) and Pegasys Institute, and supported with funding from REACH. Many sub-Saharan African countries rely on nation-wide permit systems—often touted as best practice—for their water management. This has led to a number of unintended consequences. The logistical burden of permit systems creates a nightmare for water authorities, which struggle to reach millions of scattered and remote small-scale irrigators. The water uses of these irrigators are often illegal due to lack of knowledge about the permit system. Micro-scale water users, who use just enough water to meet their needs, are exempted from the obligation to apply for a permit. A user with a permit exemption, however, has a weaker legal standing than a permit holder. Overall, permits are only issued to a minority of large-scale water users who have the highest impacts on the water still available for other users and aquatic ecosystems. The study explains the state of water permitting in sub-Saharan Africa and proposes a hybrid approach to water law as the way forward. Based on the history of water law and policy dialogues in Kenya, Malawi, South Africa, Uganda and Zimbabwe, the authors found that colonial powers introduced water laws with the goal of creating a minority with superior water entitlements to fertile, well-watered land. Having “grabbed” all water resources, the colonial government only issued permits to white settlers, undermining the customary arrangements that governed the water investments and sharing arrangements of the large majority of African farmers. After independence, the new states opened the possibility for all water users to obtain a permit, as seemed equitable. Yet their water authorities were—and continue to be—impeded by limited resources. This causes them to prioritise the regulation and fee payments of large-scale water users, such as agricultural companies, mines and cities, at the expense of small- and micro- scale water users. Because permits (or exemptions) remain the only legal tool that could deem water uses lawful, they still override the customary water arrangements of ever-growing numbers of rural investors in infrastructure. Even worse, water users who have neither a permit nor a way to obtain a permit are criminalised, with potential legal penalties. Exempted users cannot legally protect their water uses in any way. In light of these issues, the authors propose a hybrid approach to water law that decolonises the wrongs of the past while preserving parts of the system that work well. First of all, they suggest granting an equal legal standing of permits and customary water law, which can protect and support the millions of customary water users whose uses align with the constitution. Secondly, the tool of permitting should continue for regulatory purposes but specifically target the relatively few water users with the highest impacts. All users who cannot realistically be reached, or do not need to be reached through resource-intensive legal procedures, are to be exempted or provided with collective permits. Lastly, instead of solving conflicts about water sharing based on the possession of a permit, a hybrid approach to water law revives the core issue of legal prioritisation during droughts and competition for water: which water uses should be prioritised to meet governments’ national goals and constitutional commitments? A Practical Guideline for Managers details the suite of available legal tools to implement these changes. This is presented at the Africa Water Week (29th October-2nd November 2018), Libreville, Gabon.